Better Bows mod is back under a new name. 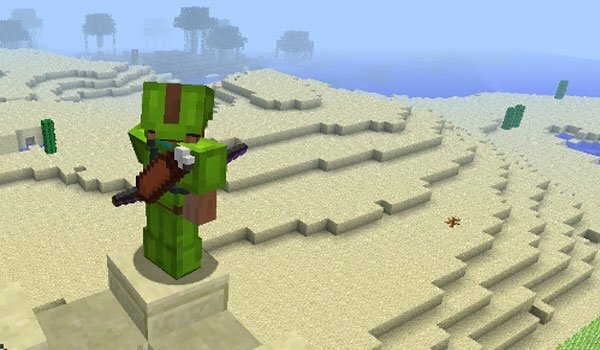 Better Archery 1.6.2 and 1.6.4 is a mod that will appeal to all those who like to use bow and arrows in Minecraft, because it adds versatility to these objects in the game, adding new items and offering new possibilities. First you can craft new types of arrow and new types of arcs using several kinds materials. Also, to store all the arrows, you can craft a quiver to transport them as you can see in the picture above (for this install Player API). The new bows are: Yumi, recurve bow, compound bow and the longbow. As for arrows, you can craft: arrows with torches, flaming arrows, explosive arrows and arrows of Ender, allowing us to teleport where impacts the arrow. How to install Better Archery Mod for Minecraft 1.6.2 and 1.6.4? Download Player API 1.6.2 or Player API 1.6.4 (Optionally, to display the quiver on your back). New possibilities for ranged attacks in Minecraft!